Fleas, Ticks, and Heartworms... oh my! Why are fleas such a pest? When bit by a flea, some pets can have a reaction called Flea Allergy Dermatitis (FAD). This skin condition causes extreme irritation and itchiness. In severe infestations, pets can even develop anemia. This is because flea's feast on their host's blood, which in high enough numbers, can cause quite a bit of blood loss for that animal. Fleas can also carry other parasites and infectious diseases, such as the tapeworm parasite. "I've never dealt with fleas before, and my dog only goes outside to go to the bathroom. I don't think my pet is at risk." Any pet owner that has dealt with a flea infestation before would agree, they are not easy to get rid of. The flea life cycle can be completed within as little as three weeks! These little buggers are capable of hiding in the cracks of your hardwood floors, the carpet, or even your baseboards! Their eggs can also lay dormant for months. And it only takes one flea laying eggs in your home after one trip outside to create a problem. Even your indoor only cat is at risk if not on a flea prevention product. Cats are notorious for grooming fleas out of their fur, which can mask a very serious problem. The golden rule here: every animal in your household should be put on a veterinary approved flea prevention product. The fleas life cycle consists of four stages: the egg, the larval, the pupal, and the adult stages. First, eggs are laid in your pet's hair coat. Some of these eggs will stay on your pet, and the others will fall off just about anywhere- in the yard, pet bedding, YOUR bedding, the couch, the carpet- etc. Then, the eggs will hatch into the larvae stage. At this point in the game, the larvae will eat left behind "flea dirt" from other adult fleas and begin thriving. "Flea dirt" is actually a fancy name for flea poop. It consists of digested blood from their host (A.K.A your pet). Once strong enough, these larvae will spin cocoons- often with pet hair or carpet/fabric fibers- to begin the pupation stage. Once in the pupal stage, our unfriendly fleas will start to get stronger. Pupae are capable of resisting freezing temperatures, insecticides, and will bury themselves deep in the carpet/baseboards to lay dormant for a few months. This is where most owners think they have finally gotten their flea infestation under control. But guess what!? Then comes the adult stage. These adults are more than happy to lay additional eggs on your pet and in their environment. Don't forget, these adults are leaving snacks behind for our pupae friends to feast on while they're hiding out in your carpet. See? It's a never-ending cycle!!! This is why we suggest you keep all pet's in your household on monthly flea preventative year round. Ticks are fairly common ectoparasites in both dogs and cats. 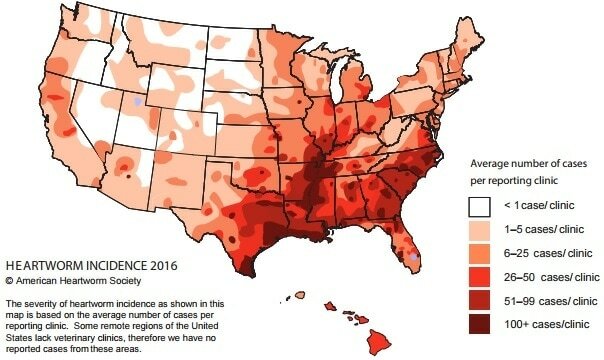 How often you see ticks on your pet depends on the region of the country in which you live, the time of year, the habits of your petand how and when you use tick control products. 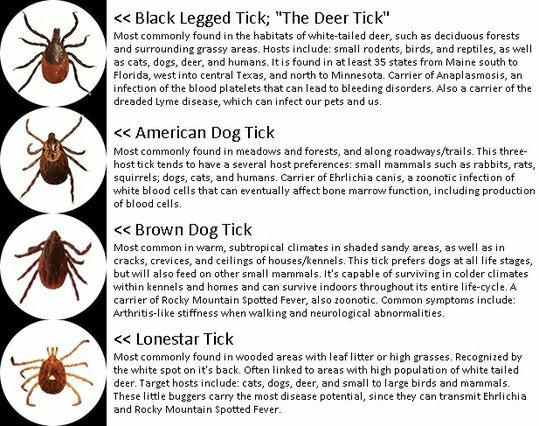 Ticks like motion, warm temperatures from body heat, and the carbon dioxide exhaled by mammals, which is why they are attracted to such hosts as dogs, cats, rodents, rabbits, cattle, and small to large mammals. ​Although rare, ticks can consume enough of your dog’s blood to cause a deficiency called anemia. Certain female ticks can also cause a rare paralysis in dogs as a result of a toxin they produce while feeding. The disease with which most people are familiar is called Lyme disease. Lyme disease can cause arthritis and swelling of your dog’s joints, resulting in painful lameness. Another is Rocky Mountain spotted fever. Rocky Mountain spotted fever can cause fever, lameness, and other signs. The best way to prevent ticks from attaching to your dog is by the regular use of tick control products. Your veterinarian can advise you about the best product for your dog and your situation. it's important to know that our feline friends are at risk for tick bites, too! come in or call us to about feline flea and tick preventative today! ​Check out this chart to identify the most prevalent species of ticks in our area. ​Above are some flea and tick preventatives that we offer at Newton Animal Clinic. Come in today to ask a staff member or doctor what preventative product will work best for you, or call us at 641-792-4860! Found a critter on your pet, but aren't sure ​what it is? ​ The decision is yours! If you need help deciding what will work best for you and your fur babies, please stop by or give us a call at 641.792.4860! -If left untreated, heartworm disease can result in your dog's death. -Heartworms can grow to 16 inches in length and there can be as many as 250 heartworms in a dog's vital organs. -Your dog can have no symptoms until heartworms are well-established. -Almost 300,000 dogs in the U.S. are infected with heartworms each year. -It is difficult, especially for your dog, to treat heartworms once established. -It is much easier and less expensive to prevent heartworms than to treat them. If these facts haven't gotten your attention yet, keep reading! Heartworms are among the most dangerous and damaging of parasites that affect our furry friends. All it takes is ONE bite from an infected mosquito. 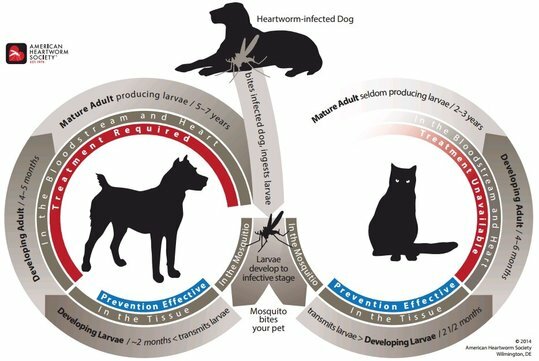 Once an infected mosquito bites and has a blood meal, the heartworm larvae will migrate from the infestation site to the lungs or heart, and in some cases, even the liver and/or kidneys. Once settled, the heartworms will mature and mate. At this point, the heartworms can start to affect blood flow to the affected organ(s). Long term infections can cause organ failure and even damage to the involved arteries. Refer to the life cycle chart for the specific timeline of events. Most dogs that are heartworm positive do not show signs until at least 6 months AFTER the initial infection. The most common signs/symptoms are a persistent cough, exercise intolerance, and collapse. Don't forget- cats are also targets for this potentially fatal parasite! 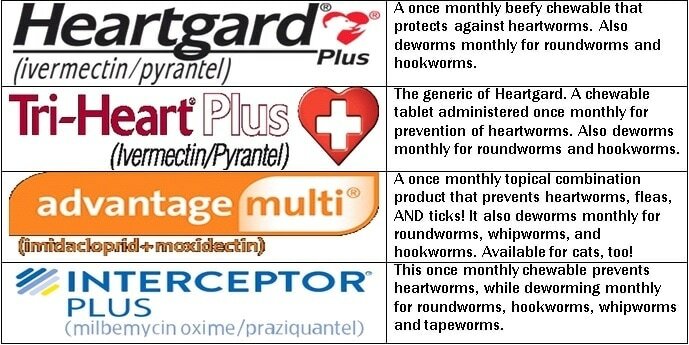 Year round heartworm prevention and annual testing is by far the cheapest option towards the battle of heartworms. Testing is simple and can be done at our Newton office within 20 minutes! First, a technician will listen to your dog's heart and lungs, and may also obtain a rectal temperature. Next, a technician will draw 3 drops of blood from your pet for testing. Then, the blood will be mixed with a special conjugate and placed into a machine for results. After 10 minutes, we have accurate results! Our heartworm tests also screen for the three biggest tick borne illnesses (Ehrlichia, Anaplasmosis, and Lyme Disease).